Membership has been, and probably will remain, a challenge for Rotary clubs throughout the world. However, there is a solution. Tired Rotary clubs can be enlivened and revitalised through the introduction of people of all ages, and of different ethnic and cultural backgrounds. 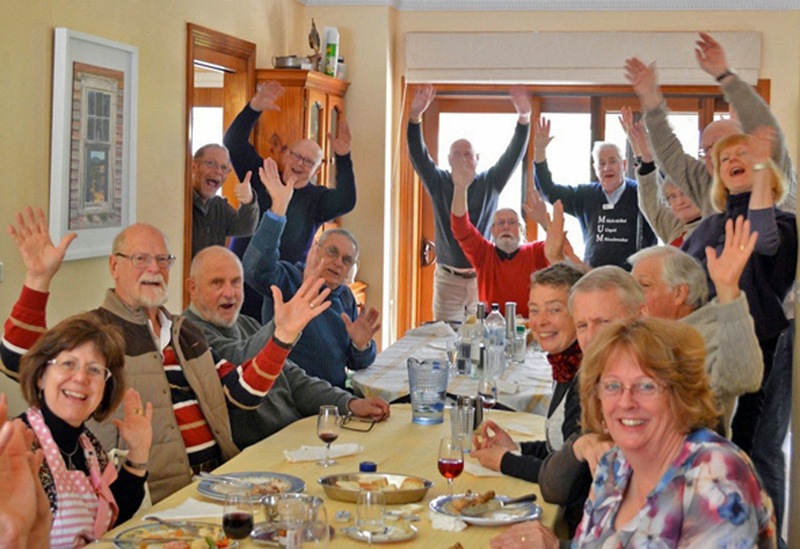 The Rotary Club of Central Blue Mountains at Wentworth Falls, NSW took on the membership challenge a couple of years ago. A goal was to induct one new member a month over 12 months. Membership went from 22 to 34 members in a year. The club now boasts 38 members, and those newer people all have a task and are enjoying their Rotary experience. How was the membership plan achieved? First, it was necessary to invest in people. Looking after existing members and catering for their needs was most important. There is no point in gaining some only to lose others through lack of communication or dissatisfaction. Also, members had to be willing to accept change. Meetings were streamlined. The sergeant-at-arms was stripped of his fines session, Rotary formalities were eliminated, business at meetings was cut to a minimum, good guest speakers and an á la carte menu were introduced, and one long dining table was used at meetings, helping to break up cliques. Social activities assisted in assimilating the new people, each of whom had a mentor until they became familiar with our organisation. It was also essential to have a high profile and be extremely active within the community. Successful Rotary information nights were arranged. Invitations were sent to local people who had shown an interest in Rotary and to those who would be suitable Rotarians. Social media and handheld devices have rewritten the rules, so it was necessary to embrace FaceBook, Twitter and the internet to interact with members and the community. People became connected. The weekly newsletter was expanded as an information source, not just for members, but for Rotarians and interested people across District 9685. Publicity was increased, with the club being referred to as “Central Blue Mountains” or “CBM Rotary”. Use of the word “club” in publicity was discouraged. A large catering trailer at local events and Sunday markets helped to build an excellent public image through improved vizability. The introduction of new people with their respective skills stimulated the original members, producing a happier, brighter and enthusiastic outcome to weekly meetings and activities. In other words, Central Blue Mountains, as a group of determined Rotarians became enterprising and proactive in more ways than one. Central Blue Mountains is robust, still growing and it will continue to do so. Its reputation will endure through greater exposure to its local community, Rotary District 9685 and its achievements as a proactive entity of Rotary International.